A sign marks the entry to Long Lake Camps in Princeton, where a shooting was reported Tuesday afternoon. PRINCETON, Maine — The hunting and fishing camp owner who was wounded by a gunman Tuesday evening is recovering and in good condition, according to a spokesperson at Eastern Maine Medical Center in Bangor. Maine State Police reported Tuesday that Steve Whitman, 60, was shot that afternoon at the campground but still managed to call 911 and identify his shooter as Craig Woodruff, 52, of Baileyville. Woodruff was found dead a short distance away inside his sports utility vehicle on the Long Lake Camp Road, according to Stephen McCausland, spokesman for the Maine Department of Public Safety. The gun used was not identified, but she said the death was ruled a suicide. Police said Tuesday night that the two men knew each other but offered no motive for the shooting. State police Sgt. Darrin Crane said Wednesday that he was unable to provide any more information than what was released Tuesday. 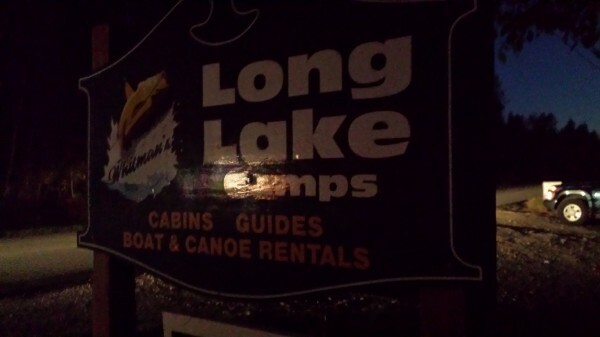 Whitman and his wife, Linda “Lin” Whitman, are the owners and operators of Long Lake Camps, located about 1.5 miles from town. One of Woodruff’s relatives is a manager at the camp, and Woodruff was a guide, according to the camp’s website. Lin Whitman said by phone from Massachusetts Tuesday night that she received a call about her husband being hurt shortly after the shooting. Her husband has been running the 12-cabin hunting and fishing camp on Rolfe Point this summer, she said. The business is located on Long Lake Camp Road, a gravel road just west of Route 1. “One mile up Long Lake is the Passamaquoddy tribal lands, and two miles down river is the tiny town of Princeton,” the Long Lake Camps website states. The Whitmans purchased the camps in 2004, the site states.